Liverpool brushed aside Chelsea’s challenge at Anfield to move two points clear at the top of the table. The game was a slow burner at the start with neither team intent on pressing the initiative. However, the hosts slowly grew into their passing rhythm and created a few chances. The first of those opportunities fell to Mohamed Salah, who fired his volley straight at Kepa Arrizabalaga. Sadio Mane, too, went close moments later but the score remained deadlocked at the break. In the second period, the home side found their stride and put Chelsea under immediate strife. 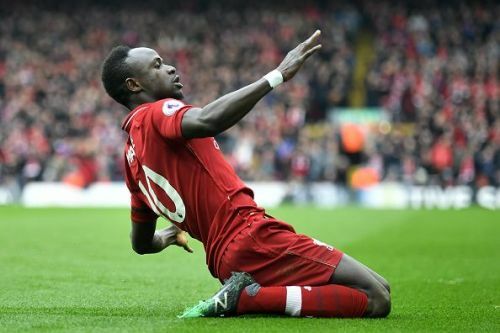 The Reds were rewarded for their endeavours in the 51st minute when Mane was accorded the freedom of the six-yard box to nod home. A couple of minutes later, Salah blistered the ball past Kepa and into the top corner to double Liverpool’s advantage. Though Chelsea had a few openings of their own in the second half, they couldn’t make the net bulge. 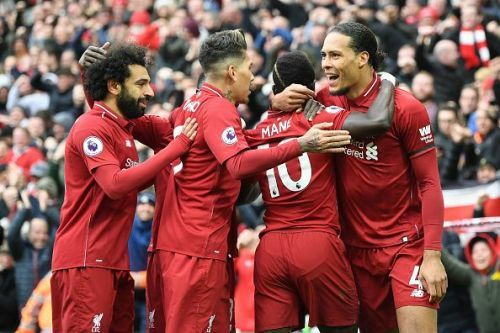 Liverpool came into the game having watched Manchester City claim three points at Selhurst Park. Subsequently, the Cityzens went a point clear of the Reds before the latter’s game against Chelsea kicked off. Thus, the emphasis was on Jurgen Klopp’s men to tilt the table in their favour. Unsurprisingly, the hosts started off cautiously and weren’t too gung-ho in their approach. The visitors, meanwhile, set up defensively and tried to pounce on the break. Hence, the game wasn’t an exciting watch for the neutral in the first half. However, in the second period, Liverpool looked a team possessed. The Reds moved the ball around with purpose, switched the play from side to side and dragged Chelsea into uncomfortable areas. The hosts’ tactics paid off when one such flowing move allowed Jordan Henderson the time and space to pick out his cross. The Englishman did so beautifully and Mane was left with the easy task of heading into an empty net. In the 53rd minute, Salah blitzed the ball past Kepa to give the Reds a two-goal cushion. Hence, the home side had established a two-goal advantage in a trice. For the entirety of the first half, Chelsea looked a formidable opponent, one capable of surprising Liverpool. Yet, the Reds’ salvo at the start of the second half knocked the stuffing out of the West Londoners. And five years on from when things went so horribly pear-shaped before the half-time whistle, Liverpool did all the damage on the other side of it.